America was built on small businesses. They’re what make cities great and what helps create a unique, one-of-a-kind character and charm. Detroit is home to dozens of small businesses; some have been around for more than 100 years and others are new, entrepreneurial ventures just getting started. 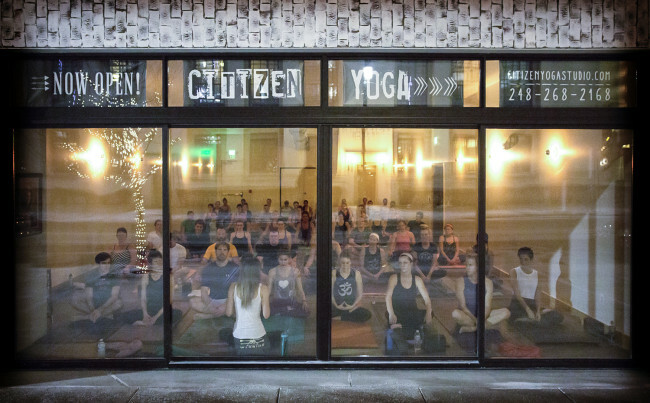 Our city is absolutely brimming with creativity, collaboration and innovation, so it’s no surprise Detroit has become a launching pad for small businesses of all types. We reached out to some of Detroit’s most successful enterprising small business owners to get their top tips for starting a small business. 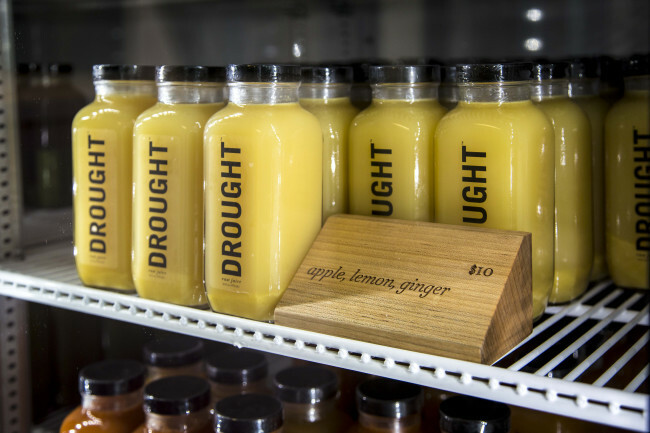 Four years ago, four metro Detroit sisters started bottling cold-pressed juice in their parents’ kitchen. Today, DROUGHT has six retail locations across metro Detroit, including 719 Griswold Street (Chrysler House) downtown. They raised $5,000 to purchase equipment through a Kickstarter campaign and the rest is history! James also stresses the importance of putting in the necessary time and hard work. But, James adds – balance is important, too. Kacee advises that consistency is key when starting a business and to keep the bigger picture in mind when making day to day decisions. The golden rule also rings true no matter what type of business you are in. “Most important, treat people well and remember that everyone wants to be heard, seen and understood,” says Must. Photo Credit: Ashe Supply Co. 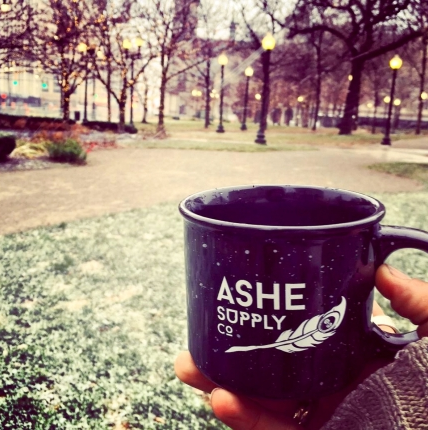 Founded by two metro Detroit natives and Wayne State University graduates, ASHE Supply Co. was born after the owners traveled the world and realizing there was a need for high quality, delicious coffee back home. Now, ASHE Supply Co. produces handcrafted coffee, clothing and art and is about to open their first brick and mortar café in the Madison Building (1555 Broadway) in downtown Detroit. A.J. Nichols, one of ASHE’s co-founders, says it’s important to master your craft. A.J. also advises not to be afraid to pivot when beginning a new venture. For Rachel Lutz, starting businesses runs in the family. 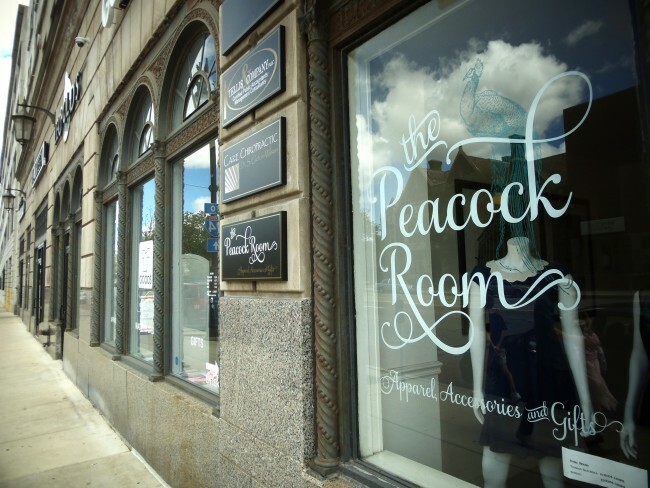 Lutz, owner of the Peacock Room and Frida (15 E. Kirby Street), two Midtown apparel and accessory shops that carry unique and fashion-forward products, is a fourth generation business owner and a second generation Midtown Detroit business owner. When it comes to advice on starting your own business, Rachel advises starting small. Lutz also says be willing to ask for help. Alexandra Clark knew she wanted to be a chocolate maker from an early age. The entrepreneur studied chocolate for eight years at various institutions around the world, worked as a pastry chef, and even traveled to Paris on a whirlwind chocolate tour, before returning home to Detroit in 2014 to start her own chocolate shop in a 600-square-foot Hamtramck production kitchen. First there was Black Friday, then Cyber Monday. November 27, 2010 was the first ever Small Business Saturday. Small Business Saturday is a day to celebrate the Shop Small movement to drive shoppers to local merchants across the U.S. More than 200 organizations have already joined American Express OPEN, the company’s small business unit, in declaring the Saturday after Thanksgiving as Small Business Saturday. Show your support for local Detroit businesses on Saturday, November 28 and shop small with Detroit Experience Factory’s Shop Small Tour or BUILD Bazaar at One Campus Martius. Follow @ShopSmall on Twitter and Instagram, “like” Small Business Saturday on Facebook, and tag your posts and photos with #ShopSmall #SmallBizSat #ShopDetroit. Six Small Detroit Businesses to Visit! 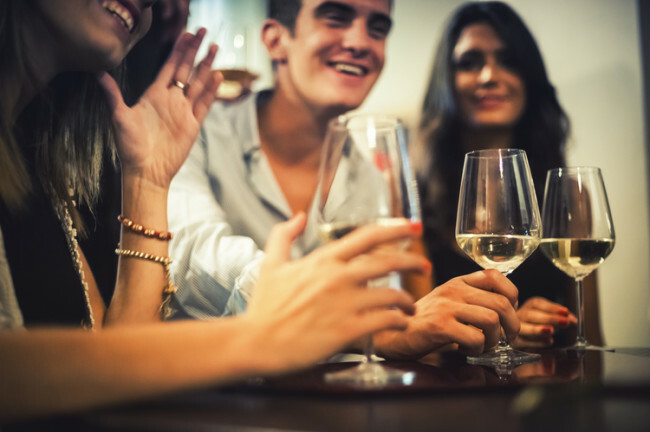 Maybe you’ve heard their names and always wanted to give them a try, or maybe you didn’t even know they existed (but now you do!) Here’s a list of six small Detroit businesses to visit. From books to gifts to delicious pies, you’ll be glad you decided to #shopsmall in the D! Nestled along West Canfield in Detroit’s Cass Corridor sits City Bird, a shop with enough Detroit-centric merchandise to bring you back time and time again. Michigan-themed items include drinking glasses adorned with neighborhood names like Boston Edison, glicee prints of the Bronx Bar, and tote bags with the logo of the now-defunct Detroit Tribune newspaper. 460 W. Canfield St., Detroit, Mon.-Sat. 11-7 p.m., Sun. 12-5 p.m., 313-831-9146, www.ilovecitybird.com. 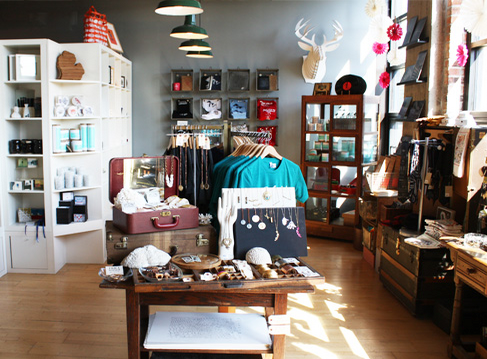 Tote bags, jewelry, t-shirts, and so much more ware waiting for you at the Detroit Mercantile Co., in Eastern Market. Of particular interest is their holiday season cards, which feature iconic Michigan locations set with Christmas imagery: Santa’s sleigh parked outside the American and Lafayette Coney Islands, a Christmas boat sailing under the Mackinac Bridge, and much more. 3434 Russell St., Detroit, Tues.-Fri. 10-7 p.m., Sat. 7-7 p.m., Sun. 11-5 p.m., 313-831-9000, www.detroitmercantile.com. 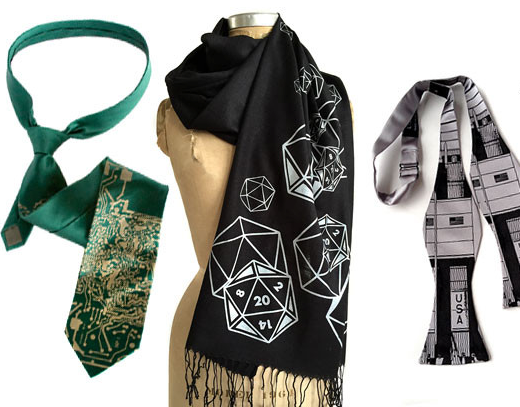 Fashion is a way for us to express ourselves without having to say a word; that’s why Cyberoptix, a tie lab based in Eastern Market, gives shoppers complete customization of their neckwear and accouterments. Whether you want your monogram on a pocket square or a star chart on a skinny tie, Cyberoptix can create it for you in-house. To stay warm in the polar vortex season, pick up a pashmina scarf. The scarves are made of cashmere wool and are printed with images of Detroit, vintage scarves, or whatever you design. Available at Peacock Room, Savvy Chic, the DIA gift shop and City Bird. www.cyberoptix.com. 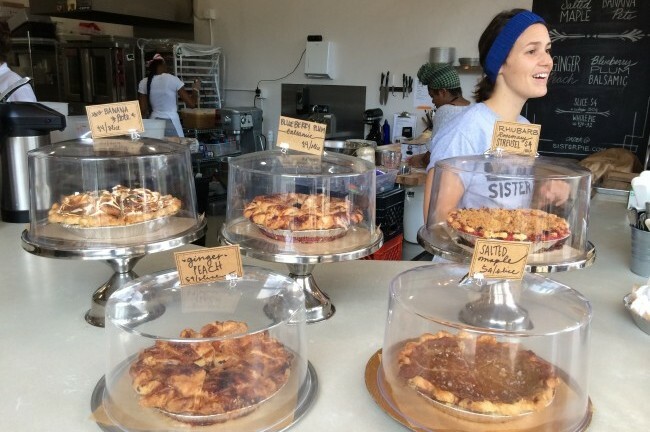 November and December are primetime for pie-eating, which is why every Detroiter should head to Sister Pie, the company that the 2015 Hatch Detroit contest. To get in the spirit of the holidays, snag a slice of salted maple pumpkin pie. It’s a fantastic blend of sweet and salty. 8066 Kercheval St., Detroit, Tues.-Fri. 8-6 p.m., Sat.-Sun. 9-4 p.m., 313-447-5550, www.sisterpie.com. Must-have: The book you want. The only thing better than a good book on a winter day is a rare book on a winter day. John King Books, sitting just on the edge of downtown Detroit, has four floors of used and rare books. 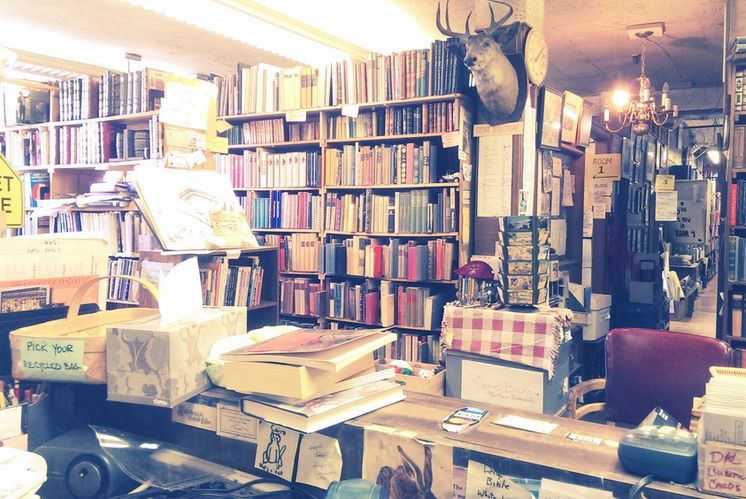 It’s nationally recognized as one of the country’s greatest bookshops and if you visit you’ll quickly know why. Be sure to grab a map when you enter so you don’t miss what you’re looking for! 901 W. Lafayette Blvd., Detroit, Mon.-Sat. 9-5:30 p.m., 313-961-0622, www.kingbooksdetroit.com. Thanks for mentioning our Detroit Mercantile Co. Among this list of fantastic grass-roots local companies. One correction: you mentioned Royal Oak’s “Peninsulas” company products at our store. We do not sell that brand, which was created by two former employees of our company. The items you mentioned are Detroit Mercantile Company items, developed by our company in 2012 and 2013 and later licensed to Peninsulas. We know it’s too late to correct the piece, but want your readers to know that the items we developed and designed are for sale here as our own brand items. We are not affiliated with Penisulas. Thanks for the coverage + space to comment and correct errors. Hi Robert, Thanks for reaching out to us, I fixed it per your commentary. Thanks for the correction! Keep up the fantastic work and exposing great businesses in Detroit! I also love being located in downtown Detroit! Drought’s story is a story that is going to become more common. Home based businesses have great opportunity these days to grow and expand. The big companies can hog a lot of market share. But when niche businesses in the community use to their locality to customers to their advantage, they can take a bigger stake in the profits that are out there.